This was cut using my new Pooh Font cartridge! It's an awesome font cartridge that even comes with honey pots and baby Poohs. 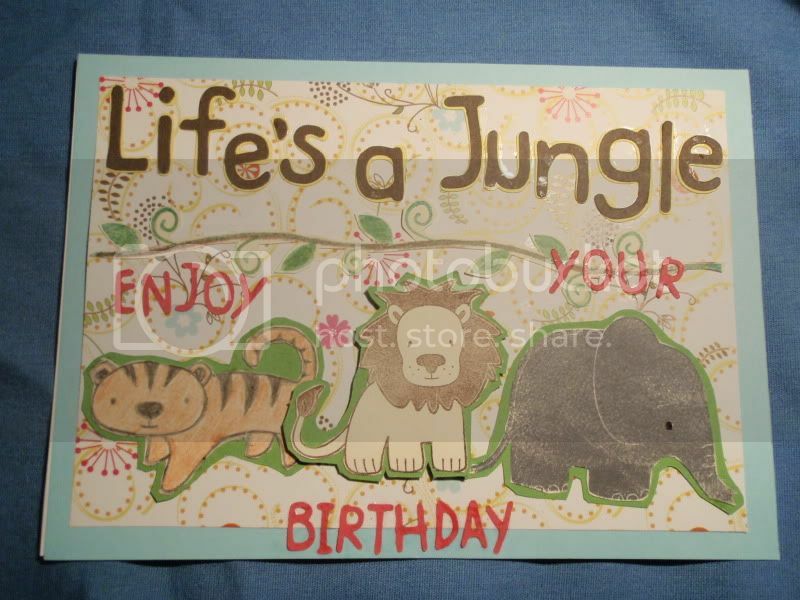 The animals are from the Paper Co's Jungle clear stamp set. After all this time, I finally learned the difference between types of inks, specifically that water-based inks will not coat big images as well as chalk or pigment inks. My favorite right now are Colorbox's chalk inks and I definitely plan on getting more when I can. I put the animals on green cardstock and popped them up with foam tape. I used the Zig two-way glue to adhere all the little letters and ran the big ones through my Xyron.